Rajasthan Test & Research Centre (RTRC) is one of the leading Service Provider for complete testing of LT Cables, Fire Survival Cables, FR & FR-LSH Cables, Mining Cables, Thermocouple Compensating Cables, and Instrumentation Cables etc. 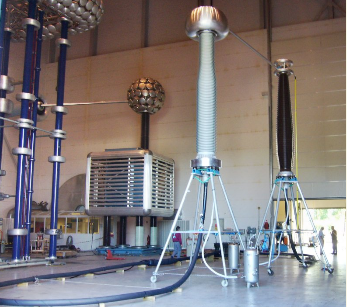 We also provide Partial Testing facilities for Cables upto 33kV. The testing facilities include Ultra Violet Radiation Test, Water Absorption Test (Electrical), Dielectric Retention upto 80 kV ac & Anti Rodent & Termite Repulsion Test etc. We are dedicated to provide prompt, cost effective & efficient services. The laboratory is located in environment friendly Industrial Estate at IMT, Manesar which is just 5 minutes drive from NH-8 and easily approachable. RTRC is accredited to National Accreditation Board for Testing and Calibration Laboratories (NABL) Dept. of Science & Technology (Govt. of India) and recognized by BIS (Bureau of Indian Standards) (For LT Cables and Aerial Bunched Cables). The tests are performed as per Indian/International Standards and NABL Guidelines & IS/ISO/IEC 17025:2005. The Test Reports issued are acceptable amongst all member countries of APLAC & ILAC Worldwide & BIS. We have extensive domain knowledge and rich technical expertise with complete facilities to conduct the testing in an accurate and precise manner. We have rich experience in the field of cable testing. We provide periodical training to our technical staff engaged in testing to keep them appraised with latest test methods and techniques for delivering reliable and sustainable services. We also ensure that the proprietary rights and confidential information of our customers, wherever relevant, are fully protected.